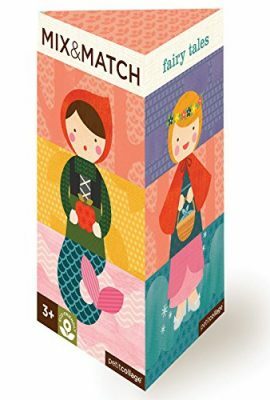 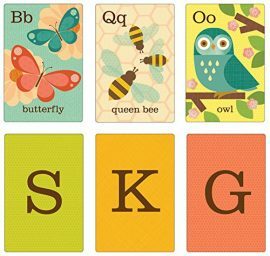 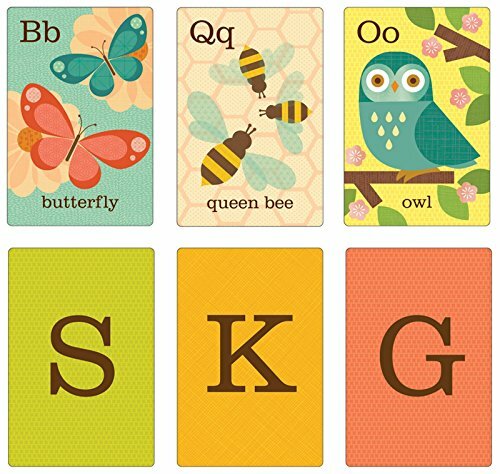 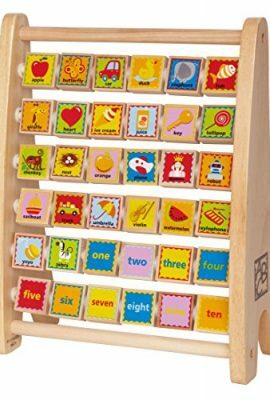 Double-sided card with vibrant garden themed images to help kids learn the alphabet. 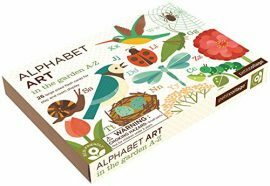 These alphabet art cards are made from recycled materials and printed with vegetable derived inks. 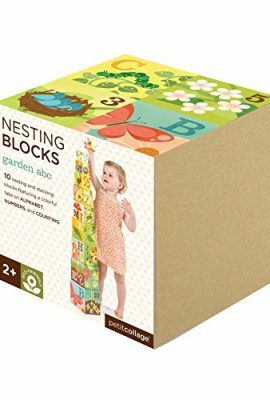 For more information on Petit Collage’s eco-friendly practices, you can read this article.